MDC has developed an impressive portfolio of practical applications that make use of multifunctional materials. The core intellectual property stems from the concept of a flexible nano-engineered assembly that can be introduced as a conformal applique on the surface of a structure, between two physical components, or even co-cured with a composite material. The majority of these innovations make use of carbon nanotubes (CNT) to provide tailored resistive paths. 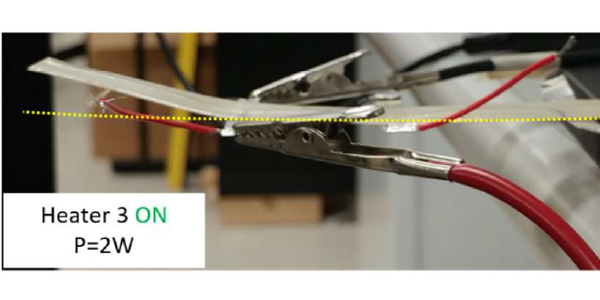 Various forms of ultra-thin conductors are also used to spread and direct currents within these assemblies, and the outer layers provide electrical isolation and protection against wear. Multifunctional assemblies have been produced and demonstrated that can reliably deice leading edges, accurately measure fatigue crack lengths in metallic skins and efficiently cure composites outside of an autoclave. Each assembly can be engineered to serve multiple roles, while adding as little as 20 gsm mass and 50 micron thickness.